Most of us celebrated the Golden State Warriors victories over LeBron James’ Cleveland Cavaliers in the 2017 and 2018 NBA championships. We especially reveled in the 2017 win after James’ Cavaliers broke our hearts in 2016. This summer things changed. We are now celebrating LeBron James. Not only because we beat him, again, but because James’ opened up a public school focused on community and relationships in his hometown Akron, Ohio. Influenced by his chaotic experience of growing up in public schools, James believed it was critical for a school that serves at-risk students— predominantly Black students, to still be part of the public school system. It’s a big win for low-income students and families of color who remain committed to public education. James’ I Promise School emphasizes the whole child by going beyond a young person’s’ academic, social-emotional needs, to also focus on family and wrap around services. The school will have culturally relevant curriculum, provide free and healthy breakfast & lunch, and GED classes and job training for parents. Additionally, every student will get a bike, Chromebook and will learn how to cope with the everyday traumas they experience in their neighborhoods. 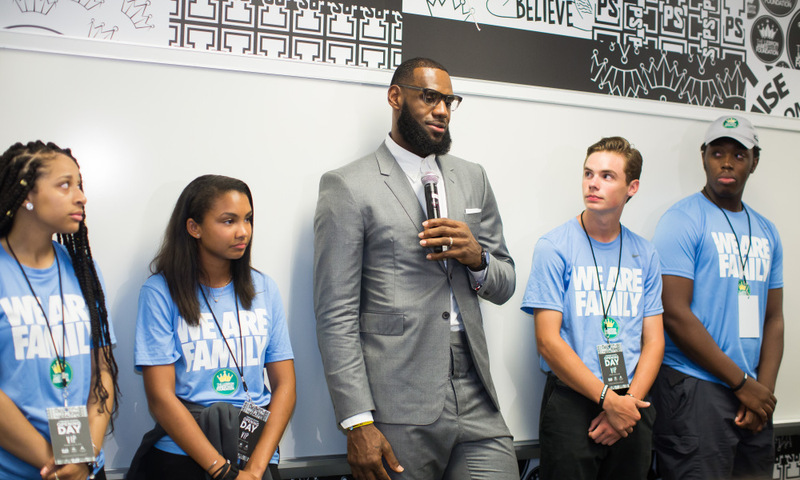 Like LeBron James’ I Promise School, the Relationship Centered School movement in California is focused on creating public school environments built on trust and community. The movement is building school communities that uplift all students by understanding for many young people and their families racial identity isn’t separate from poverty. Racial inequity continues to be the most significant barrier to educational equity. In California, 1 in 5 Latinx students do not graduate with his or her class and for Black students that number is 1 in 3. Our recent report Why Race and Relationships Matters in California Schools highlights why relationships are foundational to building a public school that supports and values young people of color, and what it means to embrace young people and their families that for generations are funneled into the school-to-poverty – deportation – or school-to-prison pipeline. Relationship Centered Schools address racial inequality and inequity by expanding our understanding of what it means to support the “whole child” in California schools. It calls on us to center race in our words, in our actions, and in our school policies to truly address the inequities students of color face in today’s schools. 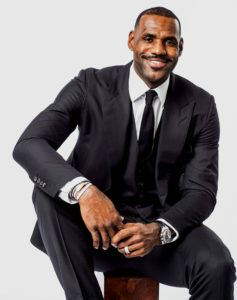 We commend LeBron James for his amazing skills on the basketball court, but equally celebrate him as a true GOAT and role model for designing a public school — one that sees every young person, regardless of what they look like or where they come from, as worthy of the best public education possible. Download our report and read some of this week’s top coverage on King James’ “I Promise School”—and please share with friends.